Event Espresso (EE) is the most advanced WordPress events calendar, registration and ticketing plugin—and it just got even better! EE 4.6 includes three significant changes, a bunch of new features, a few enhancements and fixes, and compatibility for several new add-ons that are coming soon. Developers please take note. Update notifications are being monitored and you will receive your upgrade notice over the course of a few days. We expect that you will not notice most of these changes unless you start looking into the core code. We have worked hard to make sure the transition from these existing systems to the new systems as seamless as possible. New Payment Processing System – We have improved the system that manages processing payments. This new payment system will make it easier to add features around managing payment gateways, payment accounts, multiple payments, etc. You should not notice much of a difference right now from the 4.4 gateway system other than the user interface has been standardized. The real magic comes in the code which we will use to build new features that you have been asking for. New Checkout System – The checkout system has been improved to add flexibility in the order of registration steps, and add more intelligence based on the types of tickets being purchased. You may notice the front-end user interface looks even better. Again, the real gains will come over time as we add new features for event organizers and developers to customize the online event registration and ticketing checkout experience for their audience. New System for Displaying and Processing HTML Forms – The new Forms system is a new object oriented dynamic form system utilizing built in strategies for display, normalization, and validation; including over 25 input types. We have added more than a dozen new features to our WordPress events calendar, registration and ticketing plugin. This makes this our best brew of Event Espresso ever. While most of the work done on 4.6 is tied to improving a few systems and adding new features, we do have a few small improvements. Events can be archived by tags, with a front-end tag archive listing page. Upcoming Events Widget now uses the WordPress defined date and time settings. While we refactored some major systems, we also took the opportunity to build more add-ons. We are in the final testing phase for many of these add-ons, so look for them to be available soon now that 4.6 is available. Event Espresso 4 Core Code Documentation – auto-generated documentation using the phpDocumentor tool from inline phpdoc blocs found in the code for Event Espresso 4. Event Espresso 4 Developer Portal – resources for developers (EE team and third-party) contributing to Event Espresso OR who are building things on the Event Espresso platform. Thank you for using Event Espresso. Let us know what you think or if you have any questions. Its awesome. But what about recurring events? When it will be available for Event Espresso 4? 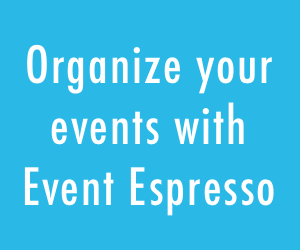 Recurring Events Manager with Event Espresso 4 is less needed because, Event Espresso 4 allows you to configure multiple occurrences of an event simply by adding another datetime (rather than adding a whole new event). We do intend to build the Recurring Events Manager for EE4, but it is lower on the Development schedule because of the ease of use for EE4. As a matter of fact, lifering.org’s primary use of Event Espresso 3 is to handle multiple EVENTS – different things. From your description, I don’t believe adding a separate date/time to the main event would serve us. We’d love to get off of version 3 but it’s the only one that lets us do what we need to. You can certainly create multiple separate events with Event Espresso 4, but we don’t have a tool to create events according to a predictable schedule e.g. every Thursday for 9 weeks. That is done manually right now. When you say “Stripe integration coming soon” – how soon? Can you estimate that? We have an event coming up in March and we want to get ticket sales up in the next few weeks. Is that possible or do we still need to wait longer? Hopefully within the a week or so. 🙂 Is that soon enough? I am still holding out hope that waiting list functionality will be added, as this is the only reason I haven’t made the move to EE4. Is this feature in the works, or do you know of a workaround that would allow me to make this happen in EE4? Many thanks, and keep up the awesome work! Wait List are not being worked on yet, but it is on our list still. However, I think there is an adequate workaround in EE4 that is nearly as good as what is available with EE3. Essentially, the Wait List feature in EE3 links the registrant to another event where they register to get added to a list. For EE4, I usually recommend adding another datetime to your current event with a “Wait List” ticket that is free. Then when you add a new event to your schedule, you can contact those people and let them know they can register for the new event. Does that make sense? Some of those features are really nice and welcome… but before refining and adding new gimmicks to your software you should really make it first truly MULTILINGUAL (with WMPL or whatever addon). Your customers beyond the USA (and especially your FUTURE customers that will make your company grow accross the globe) have been waiting for this for years. Thank you for your feedback. We have taken steps to improve the translation functions of Event Espresso. Would you like to work with us further on multilingual compatibility? This is awesome guys. Once you announce that you have STRIPE integration available, Please make a big announcement about that. it’s the only thing I am waiting for to fully utilize EE4 on my sites. Great job guys. Thank. We will make an announcement specifically about Stripe for EE4 in the coming week or so. Thanks for the quick reply, Garth. Let me take a look at what you’re suggesting and I will let you know if I run into any problems. Great. Please follow up with any other technical details in the forums, and you can reference this conversation from there. With Stripe integration, will multiple currencies (in my circumstance, the ability to sell some events in Canadian dollars and others in US dollars) be supported? The lack of this feature is the only reason I still have to have an Eventbrite account. The payment processing enhancements are designed to help make this possible. The gateway processing itself can now handle multiple currencies. However, there is still more to be done specify a currency for each event and how that different currency is used throughout other areas of Event Espresso. Everything is great except can not edit all the messages because of an out of memory error. With more and more people now using their phones and tablets for their internet browsing, when are you guys going to have the plugin be more responsive? There’s a lot of tables in this plugin that doesn’t allow sites to be 100% responsive especially the ticket selector and calendar. We have a ticket for the developers to look through the Ticket Selector more thoroughly to make it more responsive. The Calendar is a little more challenging, but I will log your feedback about the calendar. Hi… looks good. The main feature that I need that is keeping me on EE3 is the promo/discount codes. It’s essential to our events that have outside reps promoting the event so we can track their referrals. Is that feature in EE4, or coming soon? (our next big event is in March). Also, does EE4 or EE3 have features for easily managing check-in during the festival? I’ve been looking for a check-in management system, but maybe EE already has it? Thanks! 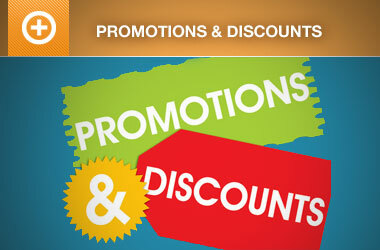 Promotions is in progress, but I can’t give you a exact firm date. We’re pushing for this first quarter of 2015. You can “check-in” attendees via the admin screen, but we also have a ticket scanning add-on coming soon that can help track attendance too. Actually, let me clarify…I know you have mobile apps for android and iPhone, but there are some of us who don’t have these platforms. Can the same functionality be done via a web interface so we can any internet enabled laptop or tablet to handle check-ins? Also, are there features for folks registering at the door? Yes, you can check-in attendees via the admin interface, or use the printable tickets and scanning add-ons (noted as coming soon) with a bar/qr code scanner to “check-in” tickets. Such exciting developments, Team EE! I just need promo codes in place and I think I’ll be ready to switch to EE4. Woot!! One question, in your announcement last week about Event Smart, you mentioned that there would be multisite capabilities in the 4.6 release, but I don’t see that listed in this post. Was that delayed or is it more just part of the core functionality rather than a modifiable feature? Event Espresso 4 is multisite compatible “out of the box”, but probably not exactly how everyone might expect for their use-case. So, we added filters and actions that enabled you to configure Event Espresso better to your use case. So, it’s more of along the lines of a core capability to integrate and configure for multisite applications. When are you guys going to have multiple registration for EE4?? Is this something that’s in the works as well? Some of the improvements we did for 4.6 (mentioned above) made multiple event registration for EE4 much more possible and efficient. MER for EE4 is in active development and we’re hoping to release it Q1 or early Q2 2015. Awesome! I’m testing the payment checkout on my page and I’m not seeing where my clients will be able to manually add their country/state as the last version had. This is crucial for me as I have clients all over the world. I also don’t want to add all of the packs making the list of countries/states/provinces HUGE. Can anyone help me with this??? Allowing registrants to manually add their country/state/provinces did not make it in to the initial release, but it is ready for testing to be released probably tomorrow. Please create a topic in the support forums and we’ll follow up with you there. Is 4.6 able to handle taking payments for multiple Paypal accounts yet, as with EE3? If no, is it something you are working on in the near future or working on currently? Not currently. But the improvements made to the payment processing system made this more feasible, but it needs more work. It is on our radar, but not scheduled yet. 1. Could Yuo give me the ETA for printable tickets feature? It is a must have feature in my case. 2. Is it possible to translate Your module using Poedit translations tool? 3. Is it possible to have a group registration form where one person could register a group of people after providing it’s birth date? 4. Can I add custom questions to the registration with ability to display atendees choice on a ticket? Example: I ask atendee to choose the accommodation place and his choice is displayed on the ticket. It is best if question like this go to our Sales Department: http://eventespresso.com/contact/ but I’ll do my best to answer here. 1) Printable tickets are available for Event Espresso 3, and they should be available for Event Espresso 4 later this week. 3) Group registrations can be any size you allow, but I’m not sure what you mean about the birth date. The registration form does not check for birth date before allowing them to proceed with the registration and payment. 4) Yes, there are shortcodes available to display the attendee’s answers on the ticket. Let me know if I can do anything else for you. Good work! The update process looked a bit scary, but it all went smoothly – so kudos to your team for making it a breeze. In the paragraph about the new payment processing system, it mentions “multiple payments” does that mean being able to implement something like PayPal’s Adaptive Payments where a single payment can be divided between multiple PayPal accounts. For example, we have a site we manage for a triathlon company, and they pay a licensing fee for some of their races (they produce the event and pay Ironman a fee to call it an Ironman event) could we potentially set it up so that Ironman get part of every athlete registration? Will waiting lists be added to EE4? EE4 does not have a specific Wait List feature, however I think there is a very comparable workaround for them in EE4. 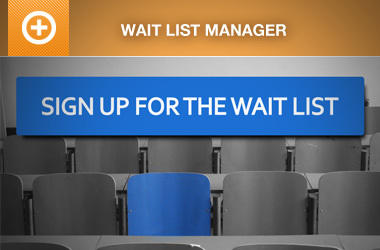 In EE3 the wait lists are essentially an entirely different event (that you manually setup). Even easier, In Event Espresso 4 I recommend adding a “Wait List” ticket to your existing ticket options in your first event, so that if a ticket(s) sells out, you can collect a list of people who still want to attend. Then, if you add another datetime or another event, you can email those who registered for the Wait List ticket that a new date is available and invite them to register. Does that make sense? I think that has worked well, if not better than Event Espresso 3. I just updated to 4.6.19.p and it looks good. Is there a way for the Event Registration email to contain an ICS calendar file or a link to it? I look through the email short codes but could not see anything obvious. Not currently, but we do have an enhancement ticket filed to add an iCal shortcode that you can use in the message templates. No ETA, but I’ll add your vote to it.